So I came to this session already SOLD that it was going to be one for the books. A lot had to do with the fact that I knew Brianna was going to be my kinda girl! Brianna and her mom volunteered at the rescue where they adopted her boy King from 5 years ago after he was started none other than Kim at Forhman Performance horses, who I ride for today! Talk about coming full circle! They're now nestled in one of the many beautiful homes in Orange Park Acres! I love coming back to OPA (not only cause I go lottery house shopping in my head) because most of the houses sit behind a mountain which makes for the perfect sunsets! 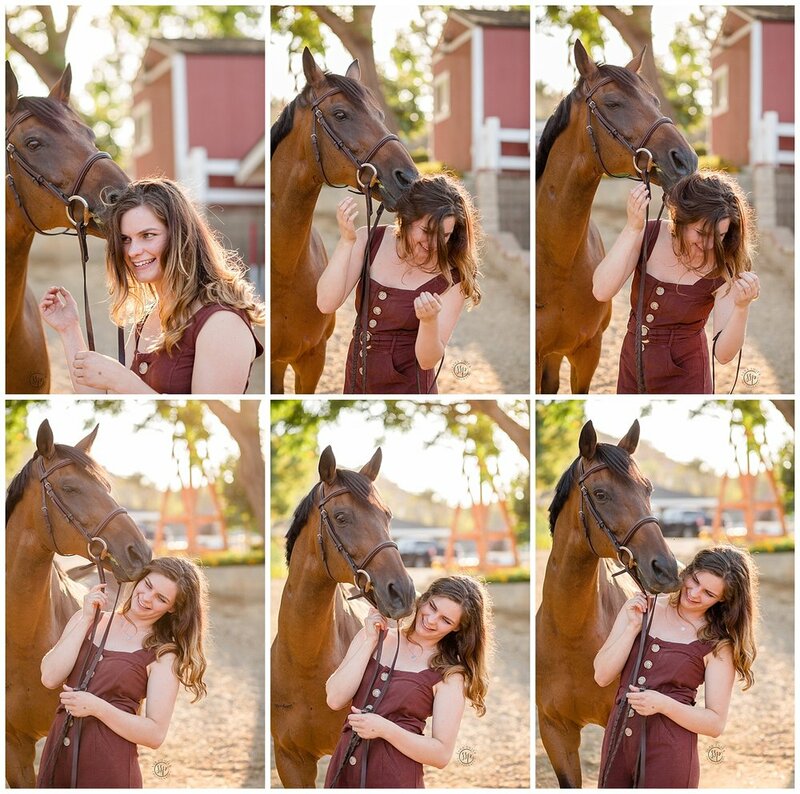 I laughed a ton during their session, as Brianna said, "King definitely has a ton of personality! He's very stubborn and has many opinions about everything. He's the type of horse that will either put his entire effort into something or decide he doesn't want to do something at all. He is a very personable horse however and makes people fall in love with him!" Honestly, every word is SO TRUE! The video tells you a little about Brianna and King which already took me down memory lane of the great old YouTube days! Best of luck during your senior year of college Brianna! I'm sure everyone is counting down until you come home!